Location: Loch Gur, County Limerick, Ireland. 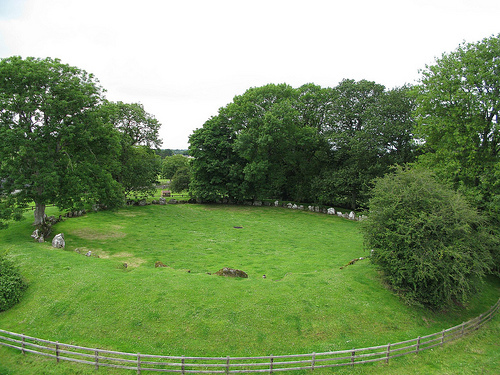 Grid Reference: 52° 30' 50.04" N, 8° 32' 28.76" W.
The Lios (Grange): (Stone Circle). The largest stone circle in Ireland. Grange is Ireland's largest stone circle, consisting of 113 stones. Built ca. 2100 B.C., it is over 150 feet in diameter. Its nearly perfect shape is suggestive of it having been drawn out with a string-line from the centre. It is surrounded by an earthen bank, which in places is three to four feet high and gives it the vague appearance of a henge monument. Aligned with the rising sun, on the day of the Summer Solstice the sun shines directly in the centre of the circle. Lios Na Grainsi: ('The Lios', 'Stones of the Sun'). A 'LIOS' or Grange is the name given in Ireland to a ring-fort or stone circle. The word "Grange" is an English rendering of the Irish word "Grian", which means "Sun". 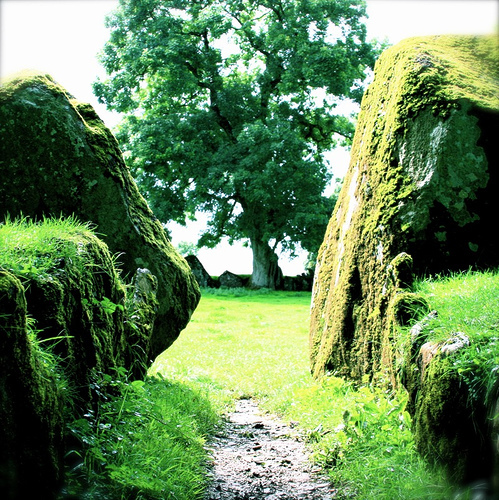 This lends credence to the theory that stone circles in Ireland were connected with sun worship, as at the larger stone circles of New-Grange and Stonehenge in England. The entrance on the eastern side is paved and flanked by uprights. Clay has been packed down to a depth of 60 cm across the whole area of the enclosure. On excavation it was found to be littered with late Neolithic Beaker pottery, which seemed to have been deliberately smashed. 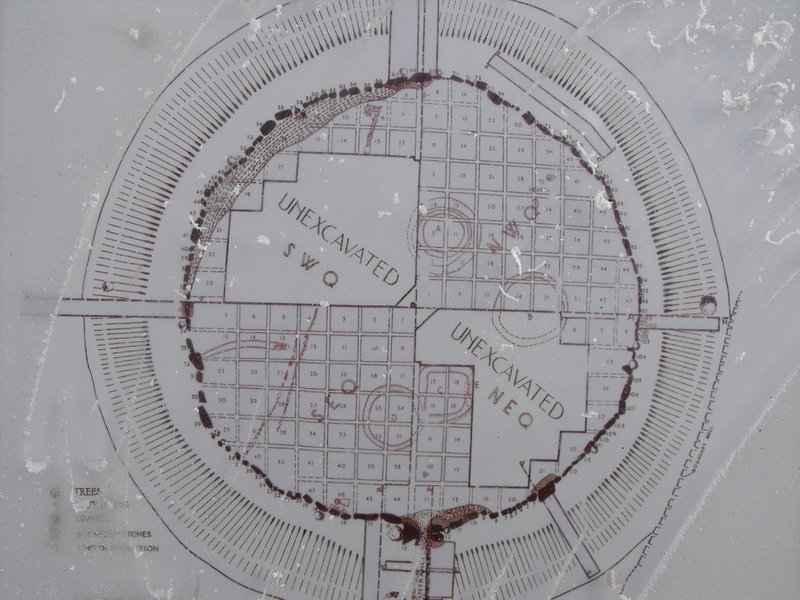 (1) Its near perfect shape and the discovery of a posthole in the very centre of the enclosure, indicates that the circle was measured out from a central stake with a rope. 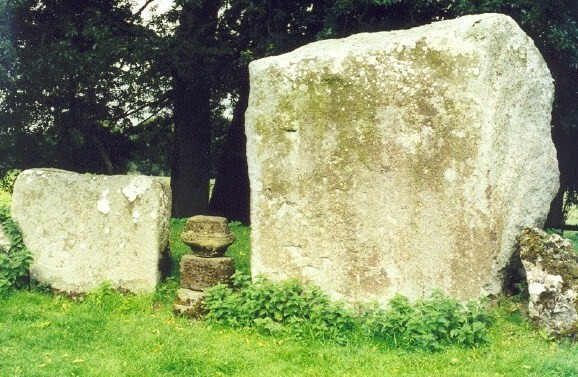 Twelve large orthostats have been placed at intervals around the stone ring, each standing directly opposite one of the other 'axial' stones. The largest stone at the circle is named 'Ronnach Croim Duibh' (The Black Stone). It is over 13ft high and weighs in at around 40 tons. The entrance is flanked by two large stones. At sunrise on the 21st June (the summer solstice) the light of the sun shines down this passage. 1). Weir, A (1980). Early Ireland. A Field Guide. Belfast: Blackstaff Press. p. 175. 2). Aubrey Burl, The Stone Circles of the British Isles. Yale University Press 1976.